Devon Harris’ Jamaican accent is thick, his cadence measured and thoughts clear. One minute he’s part motivational speaker – dropping inspirational one-liners – and the next, he’s a quick-witted “Yardie” with a hearty laugh characteristic of his homeland’s “every’ting cool, mon” vibe. You know Devon Harris. Yes, you do. But you don’t know that you know Devon Harris. Raised in one of the most violent slums of Kingston, Jamaica, Harris graduated from the prestigious Royal Military Academy Sandhurst in England. He later served as an officer in the Jamaica Defence Force, the country’s combined military, consisting of the Army, Air Wing and Coast Guard. But the reason you know Harris isn’t because of any of that. You know him because he is one of the original members of Jamaica’s historic first bobsled team, which competed in the 1988 Winter Olympics in Calgary, Canada. Dudley Stokes, Chris Stokes, Michael White, Freddy Powell and Caswell Allen made up the rest of the squad. The team’s exploits inspired the 1993 Disney blockbuster movie Cool Runnings. Don’t go racking your brain to figure whether Harris’ character was portrayed by Leon, Doug E. Doug, Rawle D. Lewis or Malik Yoba. While Cool Runnings is generally regarded well, it only got part of the actual story right. Devon Harris (front) and Michael Morgan (rear), of Jamaica, start their run on the first day of the two-man bobsled event on “The Spiral” course near Nagano, Japan, on Feb. 14, 1998. The Jamaicans finished in the 30th position. Harris also competed in and was team captain for the 1992 Winter Games in Albertville, France, and the 1998 Games in Nagano, Japan. Though Jamaicans around the world still cringe at an American cast attempting Jamaican accents – Lawd have his mercies … Doug E. Doug was particularly bad – the film managed to get one important thing right, Harris said. According to multiple sources, Cool Runnings earned more than $68 million in the United States alone, and grossed over $154.8 million worldwide. None of the original members received royalties; neither has Jamaica. But Harris isn’t bitter – not even close. Having lived in America since 1992, he said the bobsled bug never left him. It has given him a platform on which to speak, having morphed himself into a sought-after motivational speaker, sharing his life story and lessons learned from his experiences. “I would not say [Cool Runnings] started a movement; it created an awareness of bobsledding in Jamaica,” explained Harris, who has authored three motivational children’s books. 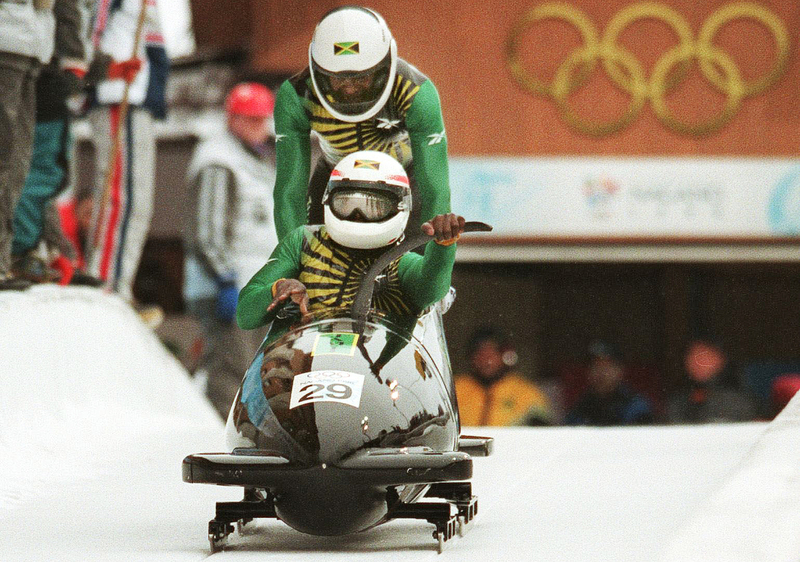 Harris, in recent years, has led efforts to build on the momentum of Cool Runnings to nurture and develop the next generation of Jamaican bobsledders. 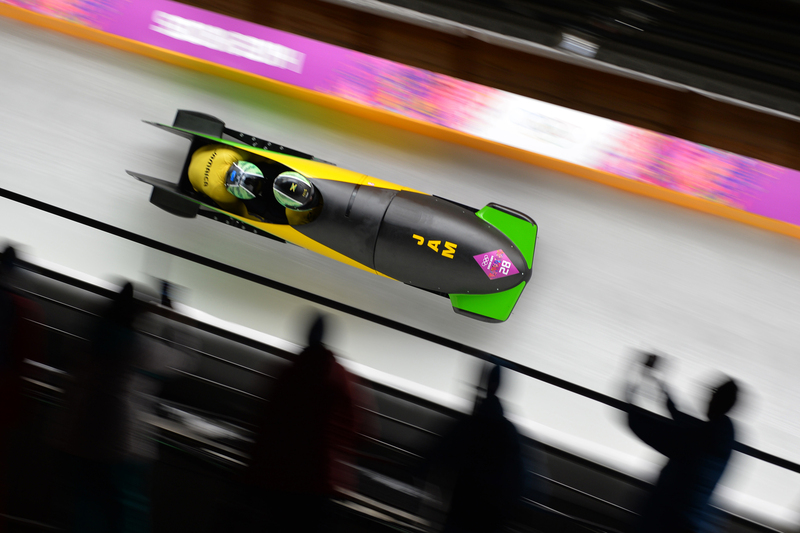 Jamaica-1 two-man bobsled steered by Winston Watts races in the bobsled two-man, heat 1 at the Sanki Sliding Center in Rosa Khutor during the Sochi Winter Games on Feb. 16, 2014. “Right after the 2014 Games, I truly took over the running of the program – starting from scratch,” he said. “We have been focused on finding the tracks in North America and we’re also looking to expand the program into skeleton, the sport where you go headfirst. Just as that original ’88 team had no business having Olympic aspirations – not to mention ice or proper equipment – Harris’ effort is once again dogged by a lack of funding and support. But he has kept his plans afloat with fundraisers, private donations, even his own credit card.